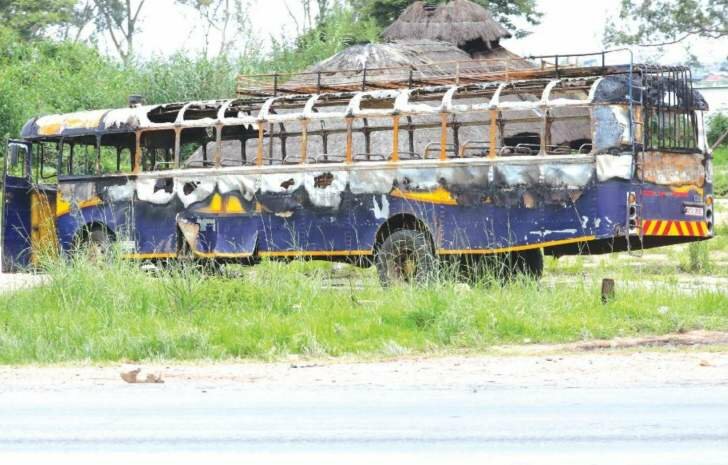 SIX men who were part of a gang that burnt a Zupco bus and also torched a vehicle belonging to Chegutu East legislator Cde Webster Shamu’s wife during recent protests that rocked Harare and other cities have been jailed a collective 36 years in jail. Harare magistrate Mr Elijah Makomo on Friday ruled that the criminals deserved a stiff penalty as they faced a serious offence. Mr Makomo said demonstrations, organised by the opposition MDC Alliance and foreign funded civil society organisations, were a right but violating the rights of other citizens was unlawful. Ring leader Emmanuel Chari (25) was sentenced to seven years behind bars but will serve an effective six years after Mr Makomo set aside a year. Chari drove the Zupco bus to a place where it was then set on fire. His accomplices Miston Siriva (30), Charles Bengeza (28), Shylock Chihuri (25), Noleen Dulana (29) and a Rumbidzai Dulana (25) were jailed six years each. When they initially appeared in court they were eight but two of them-Cassim Muzhingi and Benson Bhobho were acquitted due to lack of evidence linking them to the offence. In aggravation, prosecutor Mr George Manokore called for a stiff penalty saying there was a need to deter like-minded people. “Your worship, due to the accused persons’ actions, several people were injured and property was destroyed. There was an attack on the police and they invaded the rights of other innocent citizens. Zimbabwe is a peace loving nation and people cannot live according to the rules of the jungle -survival of the fittest,” he said. Meanwhile, 71 other alleged protesters are still on trial before the same courts as state witnesses are still testifying. Twenty-two witnesses have been lined up. Sixty of them were arrested in Epworth while 10 others were arrested in Mabvuku and are said to have been among those who looted at Choppies shop.